Great Investor Alert or for Owner Occupancy. As an investor, this could be a turn-key property as the current tenant has been great during the past 5yrs; current Lease ends Feb 28 2019. This home is Section 8 Approved and is registered as a rental with the City of Wilm and has been routinely inspected based on City and Tenant~s financing regulations. 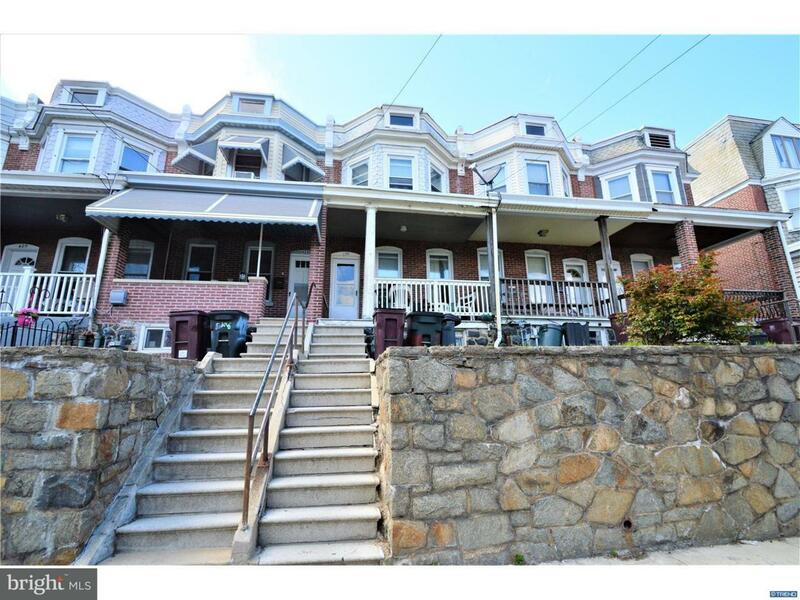 This is a beautiful Brick Colonial city Townhome with front yard with stone retaining wall, concrete steps leading to a 8x14 Covered Wood Porch, 3 Bed Rooms and a Full Bath. New updates include Kitchen Renovation in 2014 with new cabinets, appliances, counter and flooring. Bath Renovation in 2014 with new Tub with tile wall, new vinyl floor, sink vanity and toilet. Newer Heater, New Roof in 2004, Newer Vinyl Windows. New Carpet was installed at the beginning of the current tenant lease about 5yrs ago. Hardwood flooring under the carpet. The Laundry Room is on the main floor, next to the Kitchen, and is a great size for Pantry Storage, the extra Refrig. and laundry needs. From the Laundry Rm is an exterior door to the backyard, which is fenced with a concrete yard, perfect for low maintenance (no lawn mowing) and great for relaxing. The full size basement is your typical cozy city basement, with concrete floor, several windows, and is perfect for storage and the home utility systems, and has a separate room for the oil tank and storage. Location, Location, Location helps sell homes too. This is a nice location within the city, overlooking the Kosciuszko Park, with playground, and great place to walk, sit and relax. Close to Major Highways I95, 495, 202, and other major roads. Home is being sold "as-is", current tenant is happy so it could be turn-key; however, if you are looking to buy as an owner occupant or for a new tenant, some TLC would be desired. Please overlook the tenant personal property to see great quality of this home. Sqft provided by Public Records. Room sizes are approx. To honor Landlord Tenant Code, and respectful of the tenant and family, please allow 48 hour notice for showing appts. NOTE: with approval given to Listing Agent, the last 4 pics are from recent sale of a neighbor home to give perspective of freshly painted rooms, and wood floor of similar floor plan.